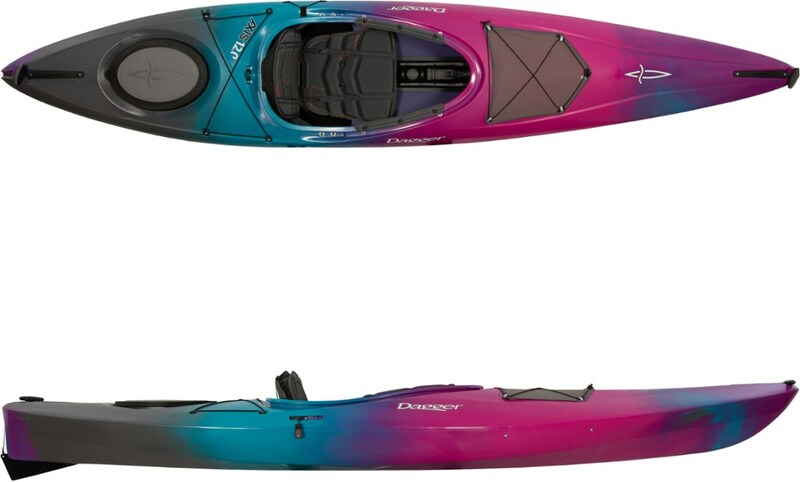 Great beginner kayak for flat water and occasional users. This is the XP model which adds a hatch cover. Otherwise the same as the Vapor 10. No bungies on deck to hold gear and looks difficult to add any kit to it. 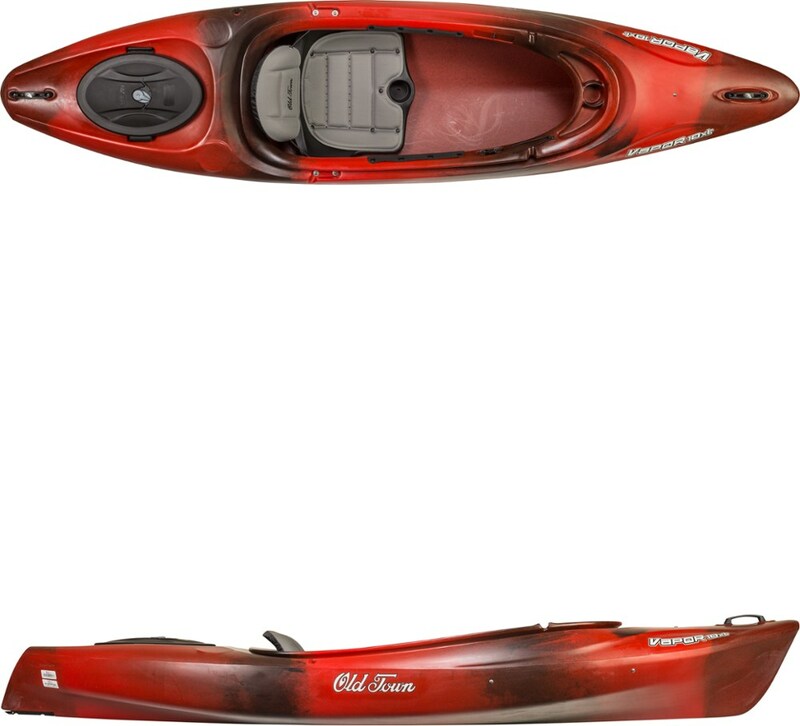 This is a great little kayak. 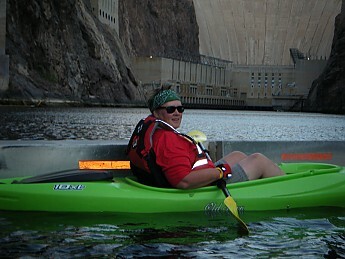 I have used it for three years on flat waters of Lake Mead, Lake Mojave, and the Colorado River below Hoover Dam The difference between the Vapor 10 and the Vapor 10XT is that the XT has a cover on the rear hatch. That is great for keeping your items safely secured. I modified the hatch by insulating it with foam and it actually makes a great ice chest for food and water on hot days out on the river. The large opening make it great for access...especially if you are a larger person. Notice in this picture the great room! Can even easily relax with legs up on the deck for a stretch! 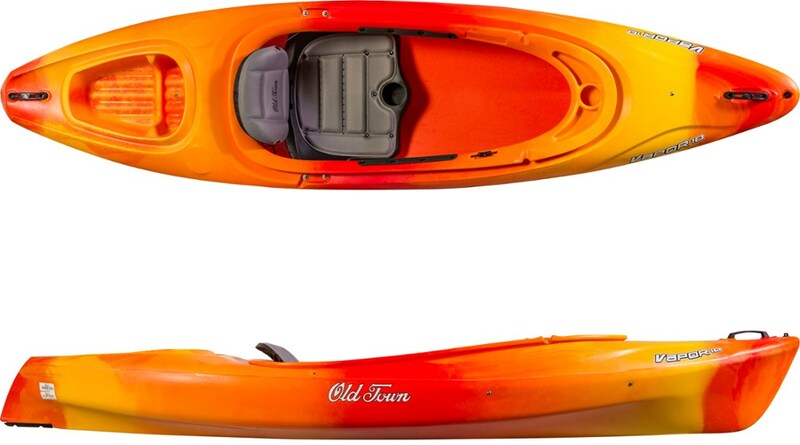 The construction of this kayak is typical of lower end kayaks and quite durable. 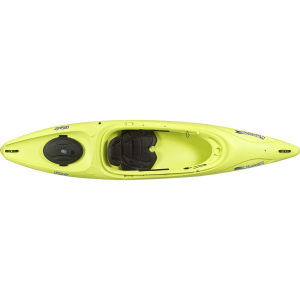 Designed for stability over manuverabilty, you may decide that a rudder and slimmer modle is more efficient to cut through the water. 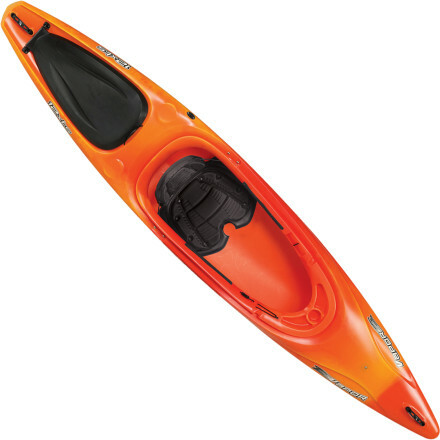 But if you goal is to go out from time to time for a paddle and float you cannot beat this kayak for comfort. I have no wear issues that would make this any less functional after three years than the day I bought it. And I am not too dainty with how I toss it around getting it on and off the car. My only complaint is really a function of the large open cockpit: with less deck surface space I have not added a bungie kit to hold additional gear. This isn't a big problem, but if you want to take very much with you this could be a drawback. I bought a couple of these last year for my wife and I. We enjoy floating around on the local lakes and drifting the Russian river and we couldn't be happier; perfect boats for that kind of use. The open cockpit is a big plus for those of us who value ease of entry/exit. We also have a small dog who must always go with so I built a seat for him and mounted it into the forward cup holder which as noted is not real useful as a cup holder anyway. Though not a fast boat it is a very stable craft and for just floating around it is ideal. Note to self: do not press the Enter key...I do like the idea of lining the rear well with insulating foam for use as a cooler and will modify ours as you have done. One thing you did not mention is that this boat (in green) lights up spectacularly at night when you set a flashlight inside it. Very, very cool. UFO - Unidentified Floating Object - great for those midnite floats on the river. I haven't done an evening float yet but will lights boat up too! I also want to take my dog (schipperke, which is a small canal boat dog from Belgium) with me but haven't tried yet.